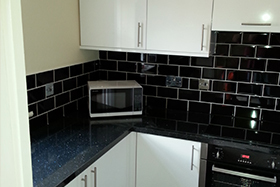 Martin The Handyman offers kitchen fitting for your home in Manchester. We will create a bespoke kitchen to suit your tastes and to fit in with the look of your property. With over 35 years of experience in this field you can trust that we will do an excellent job. Many of our customers come back to us time and time again and a lot of our custom comes through word of mouth recommendations. 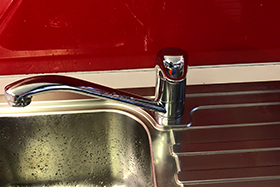 As with our kitchen services we also offer bespoke bathroom fitting with all plumbing carried out professionally and expertly. Our decades of experience in this field mean we know exactly what we are doing and how to please our customers.